← Daily Covet: HindMARCH out to get me one of these! 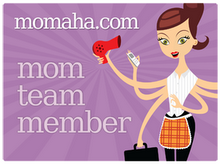 Momaha.com, the website I blog for every Friday, is co-sponsoring Omaha’s first ever “Mom Prom” next Friday night. This means I either need to starve myself into my senior prom dress, which I do still have, or find some other early 90’s-esque formal at a consignment store or goodwill to wear that night. The latter is the likeliest option. However, it got me thinking about what I would wear if I was picking out my prom dress today. So I hit up NeimanMarcus.com and found this stunningly sophisticated scarlet gown. While it may have been a bit “mature” for me when I was 17, I think I could absolutely rock it these days!